This modern looking, impressive hotel has been designed and built to house large conferences, huge events and exhibitions. 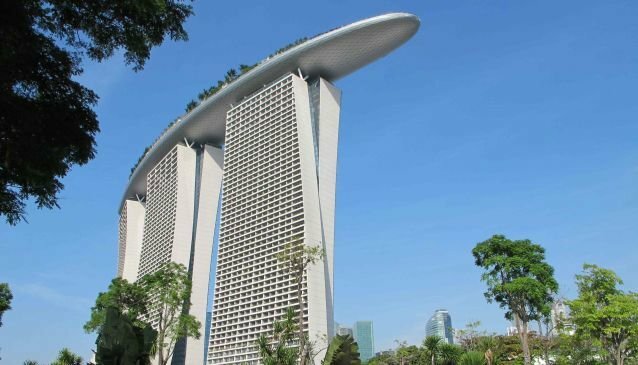 It brags of 2561 rooms and suits and the largest elevated to 200m height SkyPark. The Singapore Flyer and the Esplanade - Theatres On The Bay are 10 minutes' walk from the city hotel. Orchard Road, where all the major shopping centres are located, is 15 minutes' drive from the hotel.